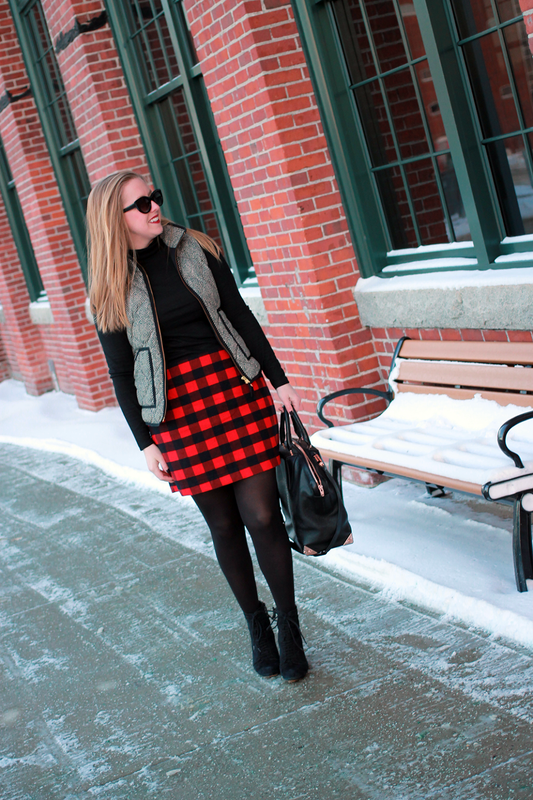 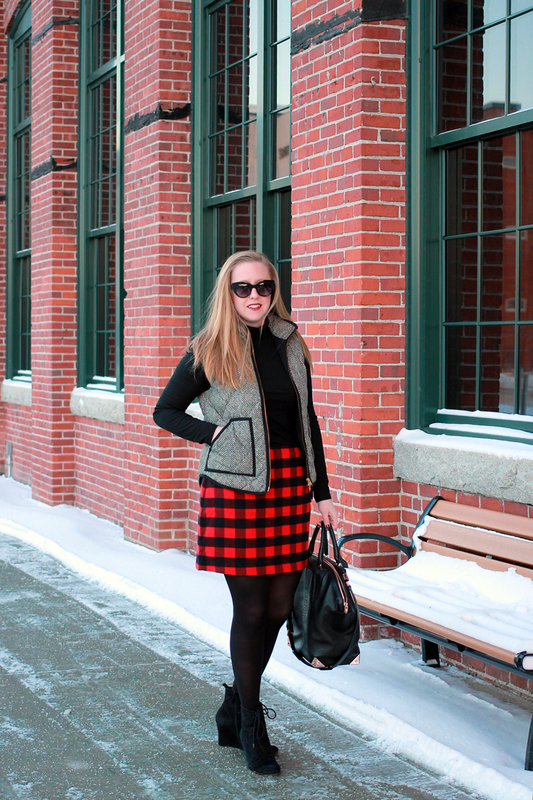 Lets face it, it's not winter without some buffalo plaid. 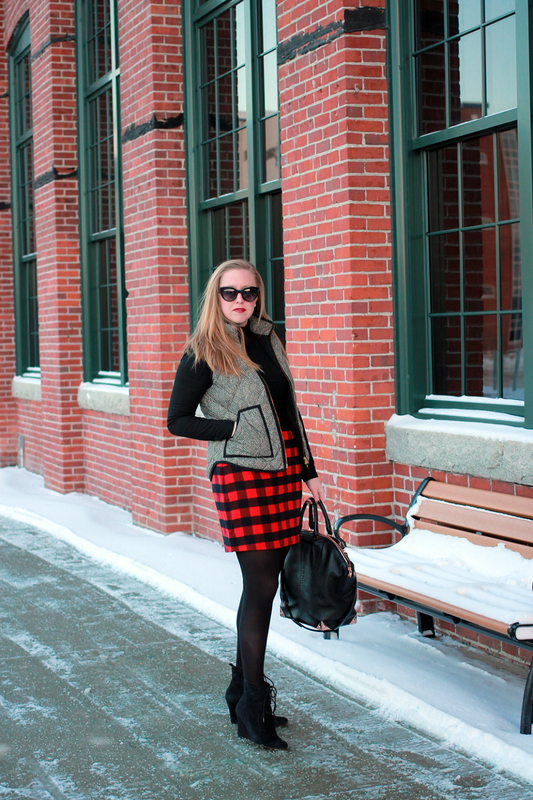 I was lucky to get my hands on this skirt, since its currently sold out online. 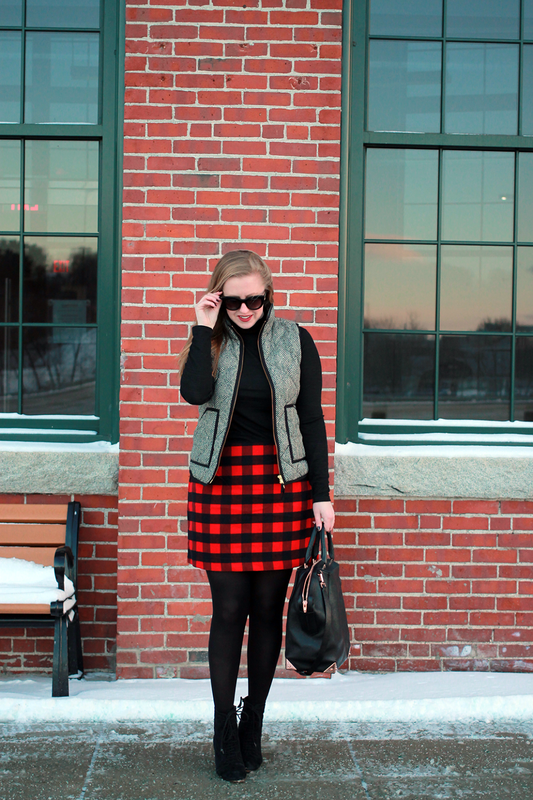 I love the versatility of the buffalo print, pair it with black and white, or even a subtle grey print as I did here with this puffer vest. 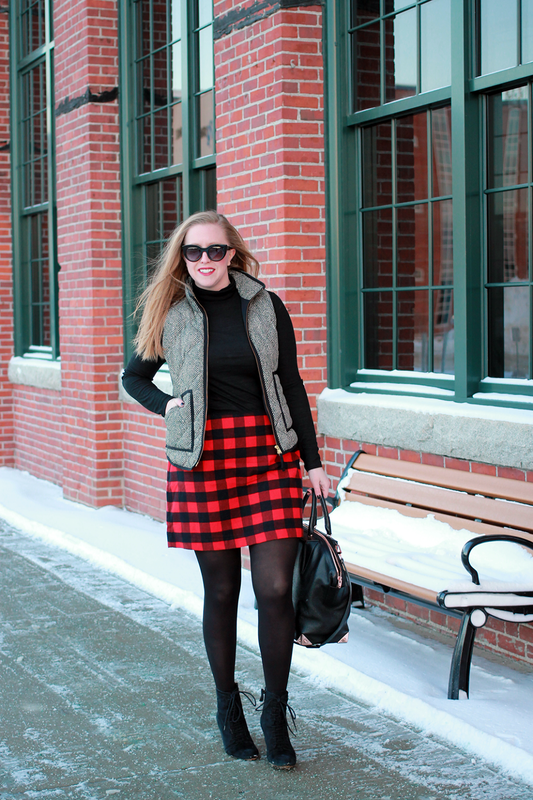 A simple and fun palette for all your winter events!